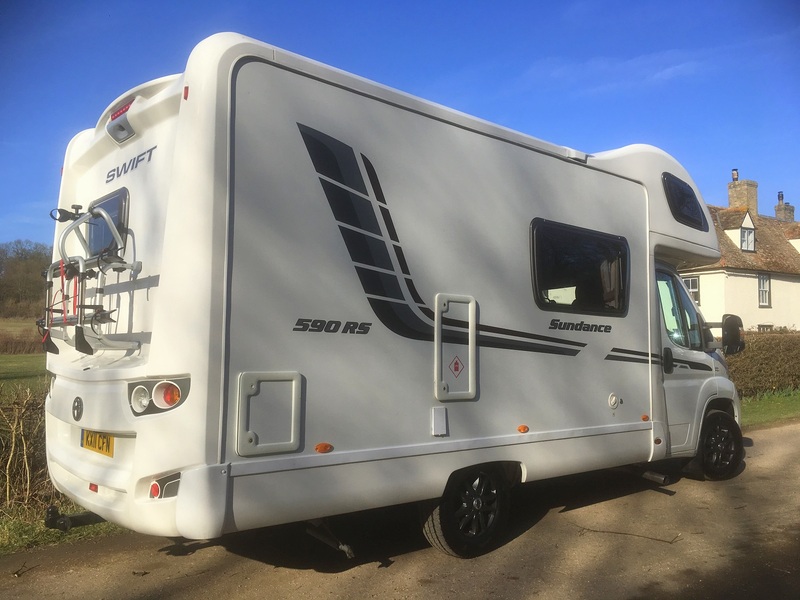 Swift Sundance 4 – 5 berth motorhome for hire from SG8 in Cambridgeshire. 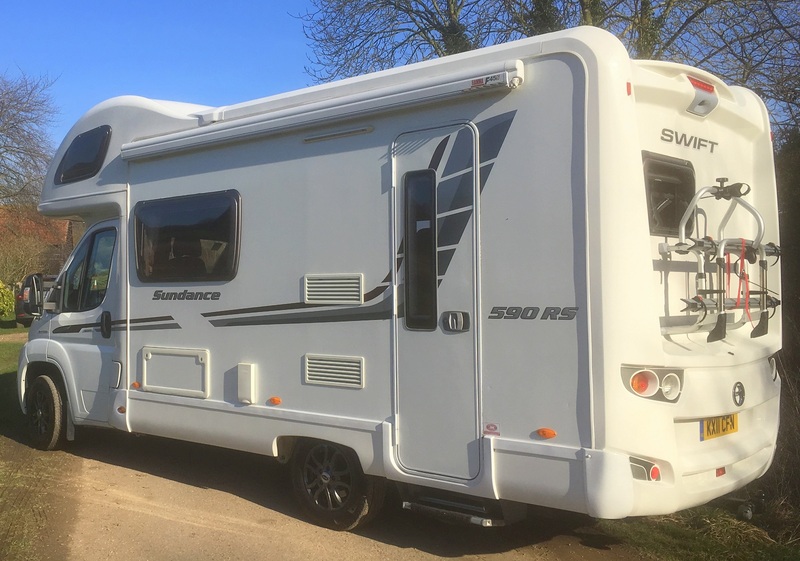 Ideal for family holidays, short breaks and festival weekends. 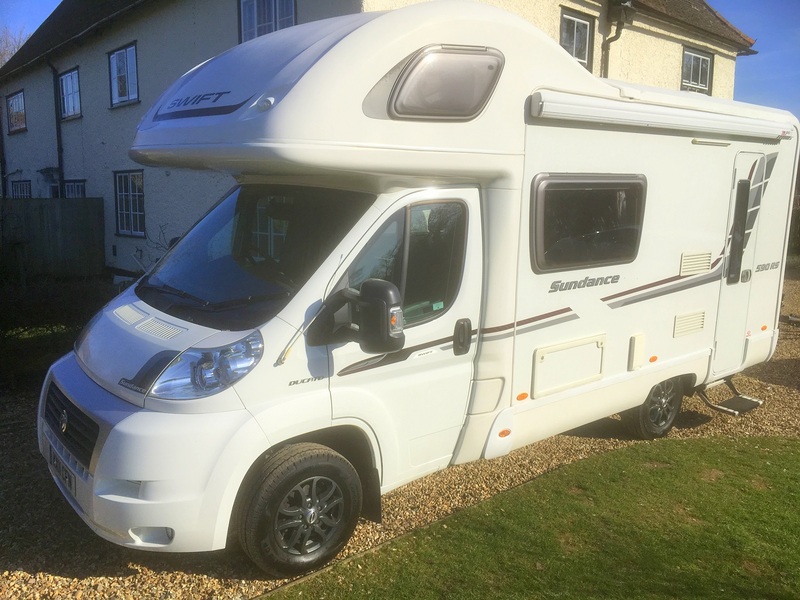 Well equipped motorhome that will accommodate up to five people (4 passengers) in comfort. 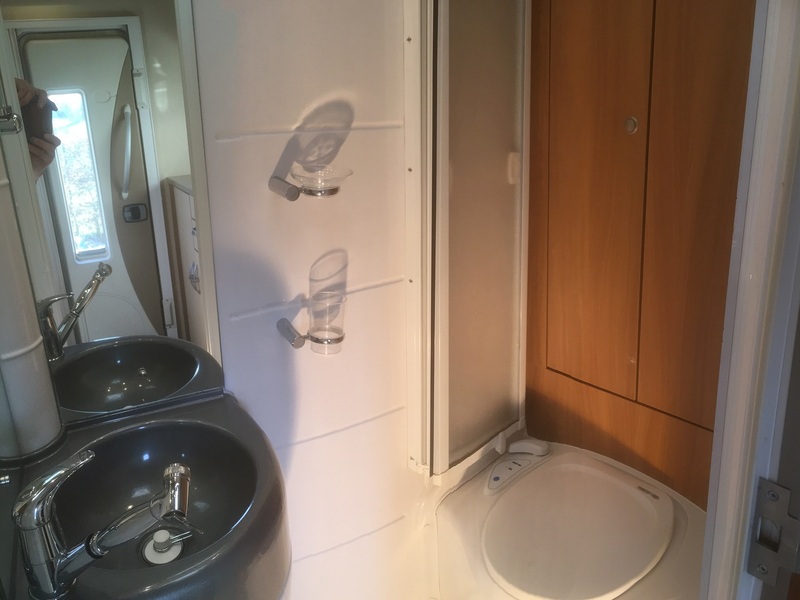 The well designed layout incorporates a permanent double bed above the cab, 2nd double bed (adapted from dining area), single bed, fully fitted kitchen and shower room with W.C. and basin. 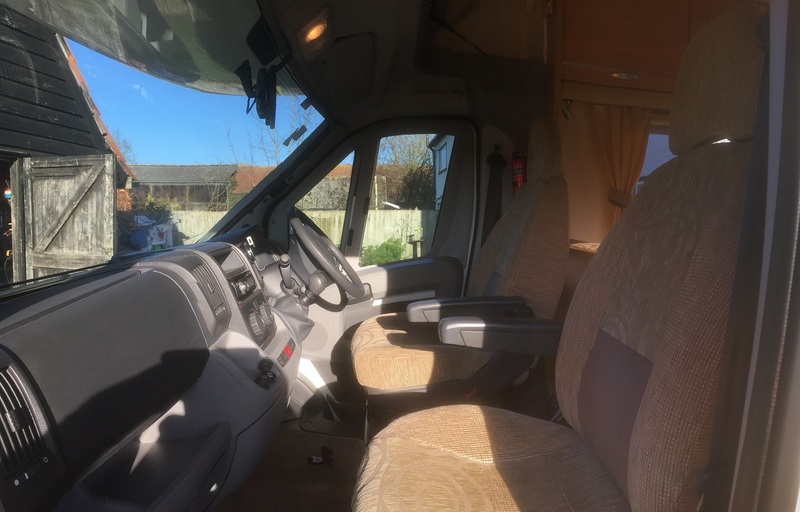 With excellent space heater and air conditioning to living area it’s a very comfortable home from home at any time of year and in any weather. 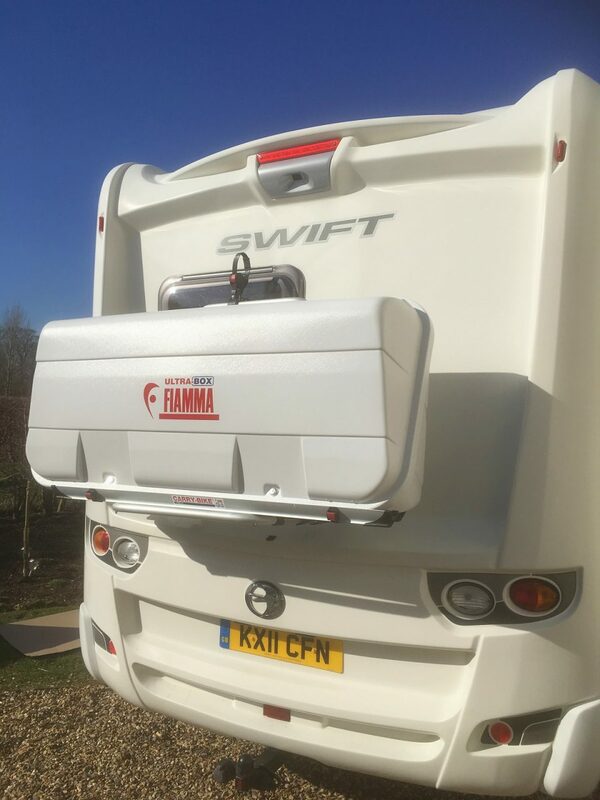 Fitted with 3 x bike rack or 360 litre Fiamma storage box at rear (to your choice), awning, reversing camera & cruise control. 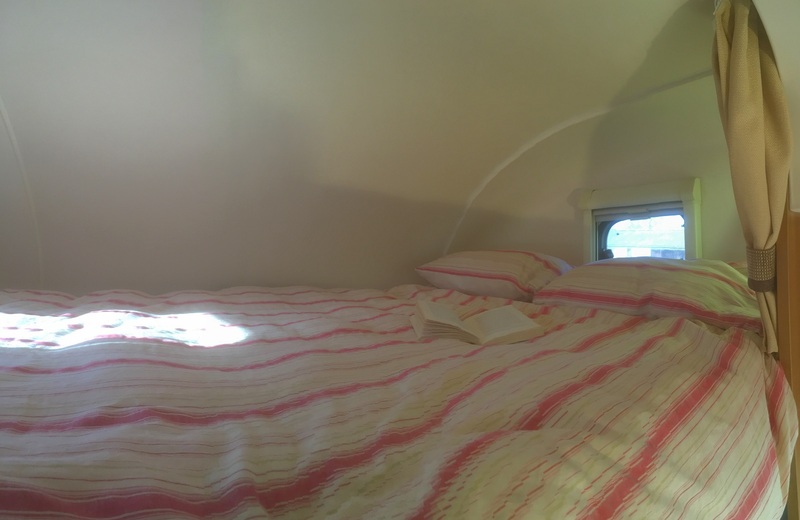 Comfortable & cosy dining / living area has Freesat TV with DVD and selection of board games. Kitchen has gas oven, gas / electric hob, fridge / freezer, microwave, kettle and all the utensils, crockery and cutlery that you should need. 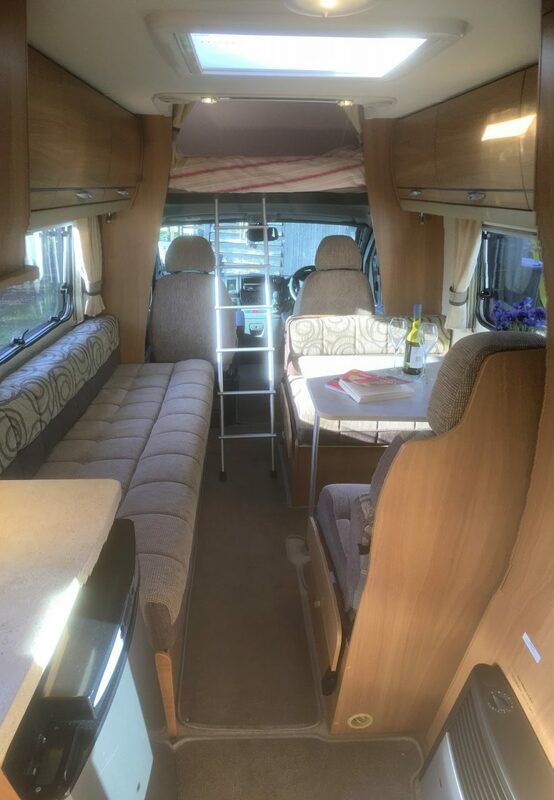 There is seating for 5 at the dining table and the passenger seat revolves to provide an extra seat to living area. Linen is not included within quoted price but can be provided at extra £10 per person per hire, if required. Doesn’t include towels but they can be added on request. We can provide secure parking for your car. 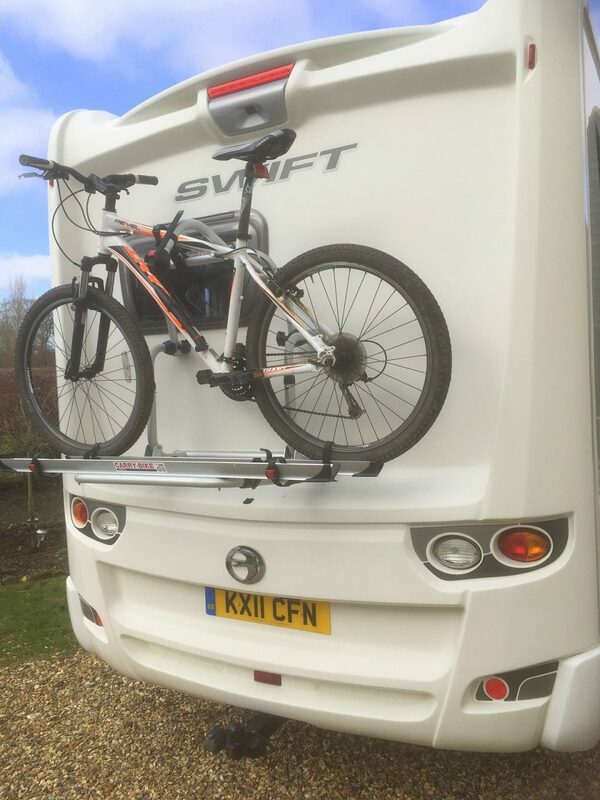 Tow bar available by request, dependant on experience of driver(s) and license category held. Dogs are welcome (1 max) @ £20 / hire. If there’s anything you need for your trip that is not shown in the listing please ask, we can normally help out with any additional requests / requirements. 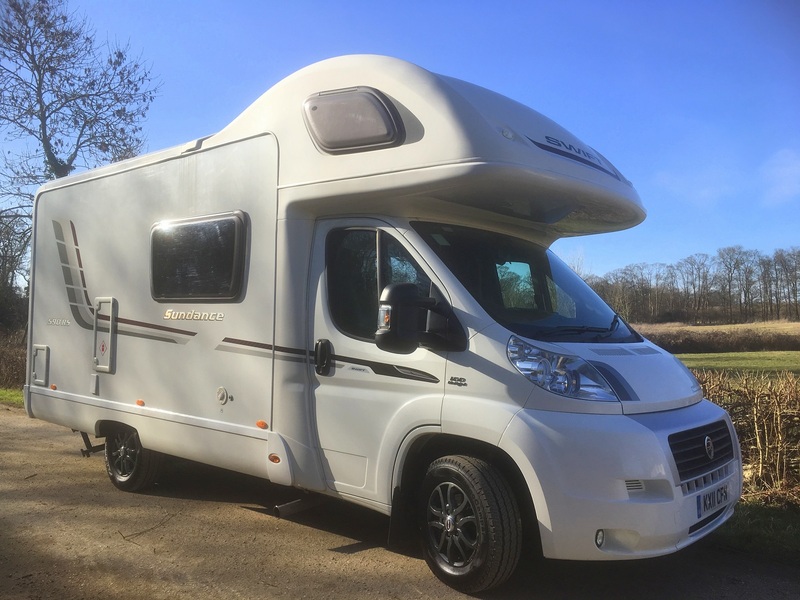 OUR PRICES DO NOT INCLUDE INSURANCE, WHICH IS TO BE ARRANGED BY HIRER AND MUST BE FULLY COMPREHENSIVE. We recommend dayinsure.com. We will require proof of cover prior to releasing vehicle for hire. Please let us know if you require any advice on insurance. Vehicle to be returned with levels of diesel and gas replenished. £100 to secure booking, with balance due 30 days before arrival.